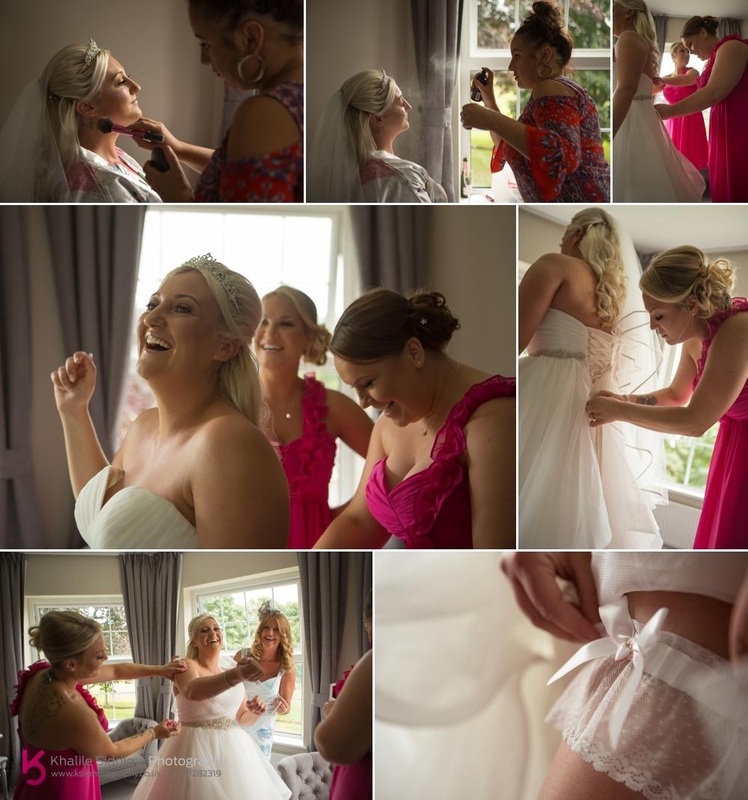 We would just like to say a huge thank you to Khalile & Tamsyn for their participation in our special day. Not just for the amazing photography but for the extra mile they kept going throughout the day. For helping Emma with her wedding dress & for helping Liam with his Windsor Knot. You both make a great team & we couldn't recommend you enough. 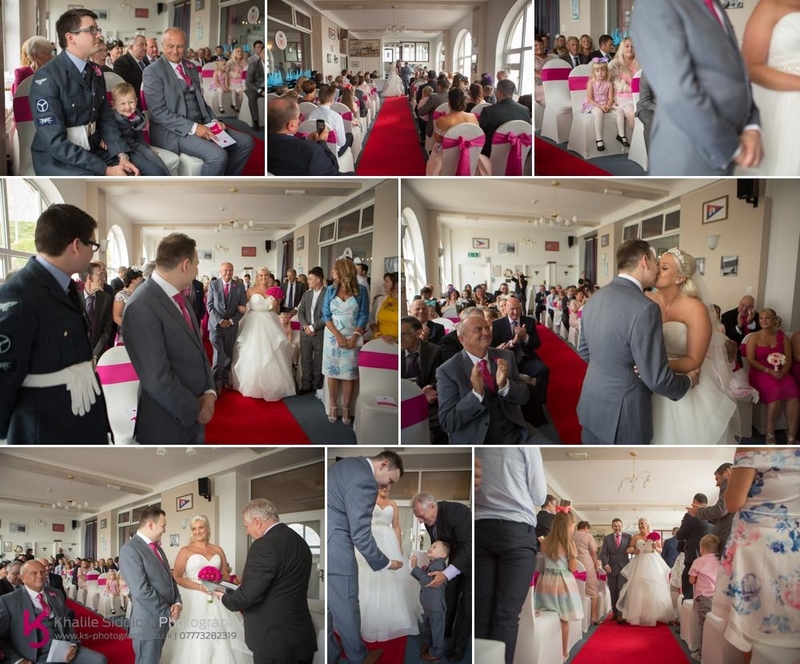 Its quite rare the way Emma & Liam came to book us for their Royal Plymouth Corinthian Yacht Club wedding, as it was via a wedding fair rather than a recommendation like the vast majority of our bookings. They came up to us for a chat around eighteen months ago at the fair, went away, came back about an hour later, chatted some more and then went away again. They finally got in contact again after about two or three months after having a good look around, and I'm so pleased that they did. 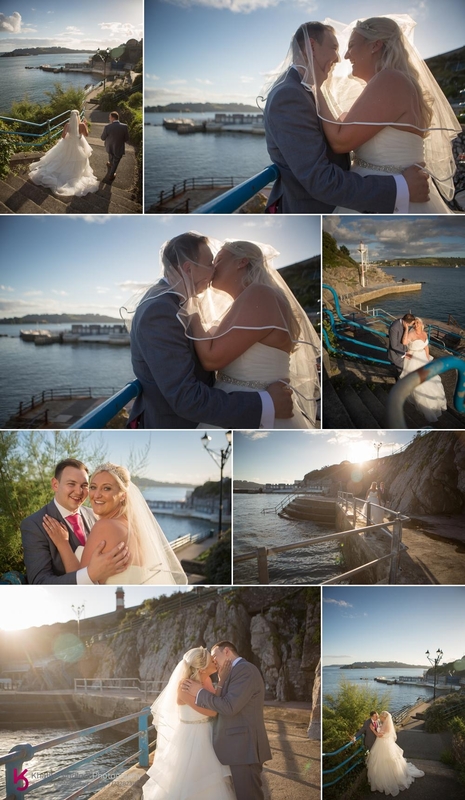 The views at The Royal Plymouth Corinthian Yacht Club are STUNNING, but our day started twenty minutes up the road at The Elfordleigh Hotel where they were getting ready. 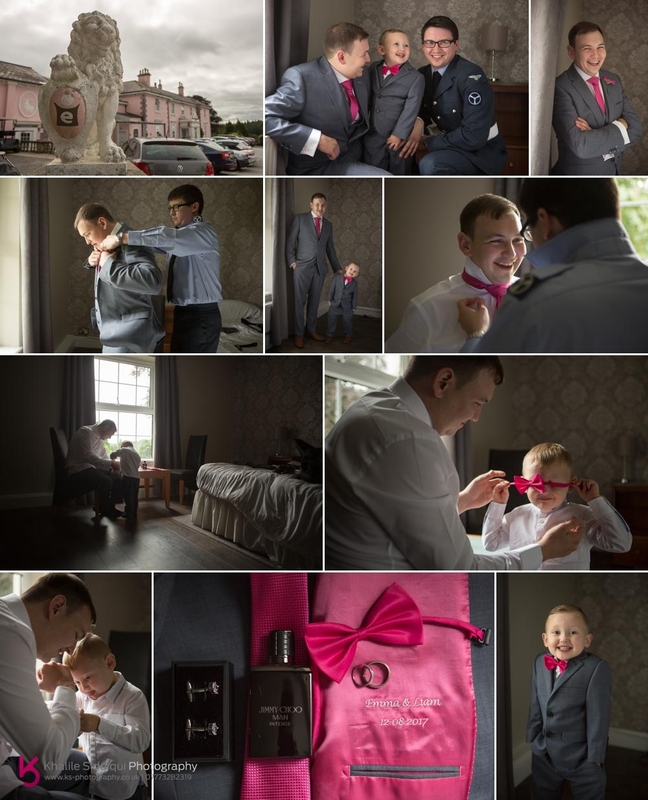 So first off we headed to the boys where Liam was getting ready with their son and also his brother and best man Craig. Man that little fella (the son not Liam) was SO cute, and was DOUBLE keen to help daddy get ready for their 'Party'. 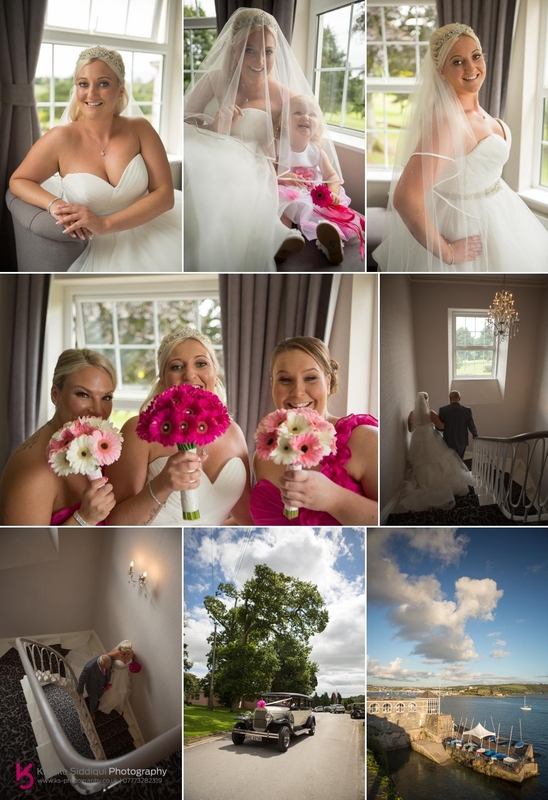 After spending an hour with them I left them in the capable hands of my wife Tamsyn who was performing as second photographer who joined them at the barbers where Liam usually goes to, to have his hair done on route to The Royal Plymouth Corinthian Yacht Club, while I joined the girls getting ready upstairs. 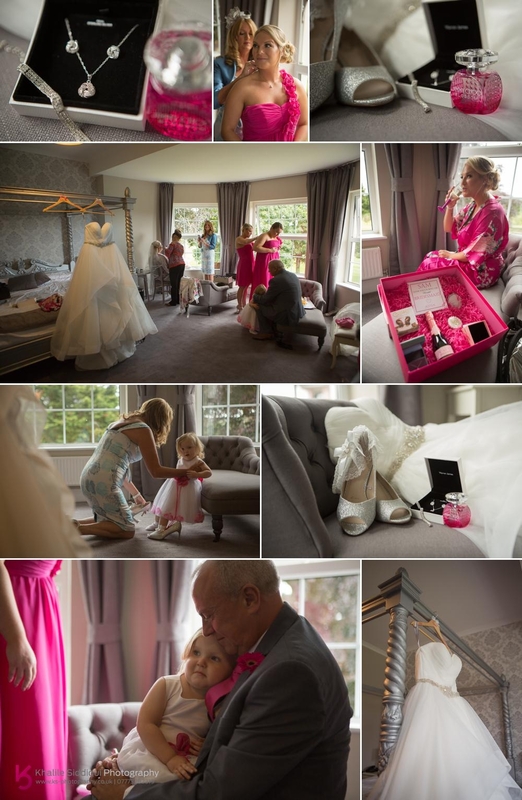 There was a hive of activity and lots of banter when I arrived between Emma, her sister/bridesmaid and Emma her other bridesmaid who were also in the company of Emma's parents, which was handy as Emma & Liam's daughter had someone to occupy her while makeup and changing was going on. It was quite intriguing glancing out the window while the girls were getting ready at there was another wedding going on at the hotel, so we were trying to be careful not to cross brides but just as we were getting into the cars the other couple happened to come around the front of the hotel to go off in a golf buggy, everyone saw the funny side and wished well to one another as we left for The Royal Plymouth Corinthian Yacht Club (I don't think I've ever shot a wedding at a venue with such a long name). The room the ceremony took place in was ace for photos as the light comes flooding in all the way down one side of the room, and it really was a lovely ceremony, the gent who was performing as the registrar really did put a lot of love and effort into the whole service. After the ceremony it was outside onto the terrace for drinks and photos, before we headed in for the wedding breakfast in the function room with more epic views. By the time the wedding breakfast and speeches were over the sun had come fully out and we were lucky enough to be able to walk just a short stroll up the road to create some atmospheric couple shots in the gorgeous evening sun. By the time we got back the DJ was all set up along with a photo booth, and there were loads of great photo moments going on all over the venue, inside and out. Dearest Emma & Liam, thank you SO much for asking us to be part of your big day. 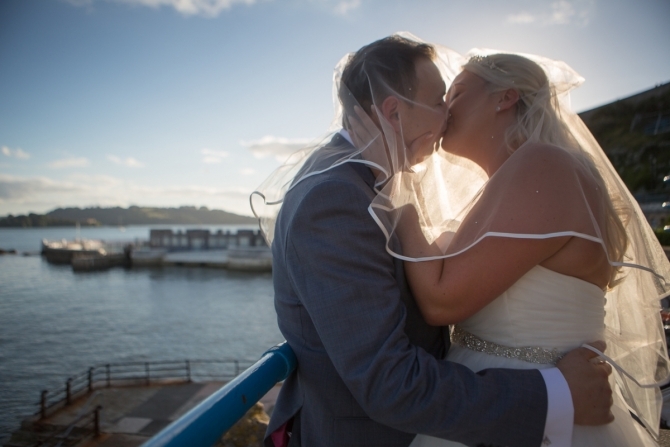 We really did love sharing it with you and your wonderful families, and wish you a long and happy life together. 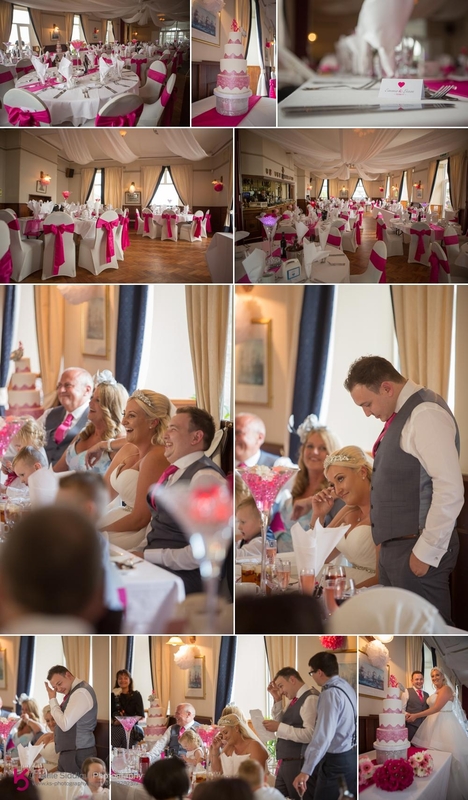 If you're planning your own wedding please do check out our weddings page where you'll find loads of helpful information as we'd love to travel to your own wedding.